Renewable energy is on the verge of massive acceleration. The technology is proven. Investors are eager. Money is available. The problem is getting all three to work together as efficiently -- and quickly -- as possible in order to avert catastrophic climate change. Some nations are racing ahead, while others are lagging far behind. Understanding the forces that determine the pace of the clean-energy revolution in different parts of the world is the somewhat daunting task undertaken by IRENA, the International Renewable Energy Agency. 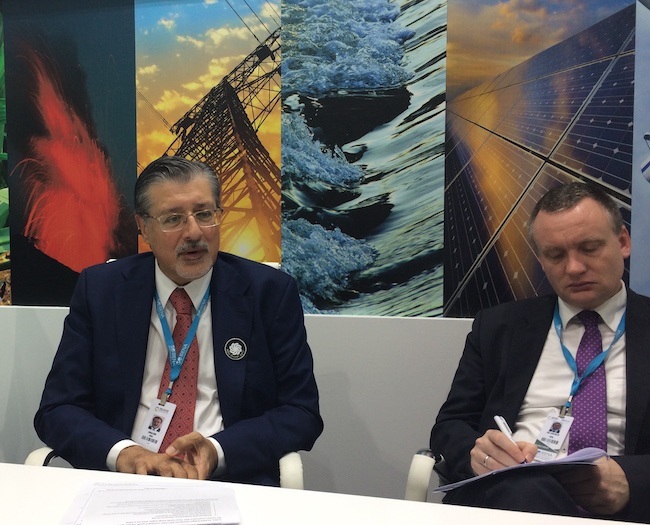 TriplePundit spoke with IRENA Director General Adnan Amin on Tuesday in Abu Dhabi, during the World Future Energy Summit, to get the inside scoop. Mr. Amin sat down with Triple Pundit and a small group of journalists just two days after the 7th IRENA Assembly, which was held over the weekend. The Assembly focused on how to accelerate the clean-energy revolution, and the scale of the event demonstrated how eager global leaders are to take action (well, with at least one notable exception). "There is a strong global perception that the transition [to renewable energy] is happening, and we can make the business case for decarbonization." Due to technology improvements and other factors, the cost of renewable energy has fallen so quickly -- and so steeply -- that it is already lower than fossil fuels in some markets. Renewable energy offers beneficial add-ons, too: It is reliable, scalable, immune to fluctuations in fuel prices and, of course, clean. "We are not too far off from doubling renewables by 2030," he told us. "There is an extraordinary level of ambition, and it's increasing every year. Mr. Amin noted that investments in energy efficiency also have the potential to propel the world on an accelerated track to decarbonization. IRENA launched in 2009 with the mission of providing information and guidance to nations seeking to transition to renewable energy. Much of the discussion is now pivoting around one central point: Government funding is not nearly enough to accomplish the transition. "Government needs to understand that most of the money [for renewables] must come from the private sector. That requires rigorous, robust policy. Investors have to be assured of stable policy. To accelerate change, a lot of money is around. But the 'risk premium' is still higher for renewables than fossil fuels." That's pretty much the opposite of the 'free market' rhetoric popular among a certain set of U.S. politicians (you know who you are), but there you have it. Risk mitigation through public policy was a consistent theme during the 7th Assembly and the World Future Energy Summit. "... You prefer countries that have regulations, to come in a comfortable way ... When you have rules, certainly, people are keen to invest their money there." In other words: The technology has done its job, and investors are ready to do their job. Now it's up to policymakers to get cracking on creating a secure, predictable regulatory environment. No, policymaking is not an easy task (just ask the folks who pledged to replace the Affordable Care Act). TriplePundit sat in on several side conferences at the World Future Energy Summit to get a taste of the complexities involved. Here's just one tasty example: quality control. That's as key a risk issue in the solar field as it is in any other. If you see someone invest in equipment that was supposed to perform for 20 years and it only lasts 10, you'll take your money elsewhere. Aside from the impact on investors, solar module under-performance and module failure can have outsized consequences in terms of other public policy issues, particularly waste management. According to IRENA, the rule of thumb is that a 1-megawatt solar array will eventually generate 100 [metric] tons of waste. So, take a country like Germany, with 40 gigawatts of installed solar capacity. Even just a 1 percent failure rate translates into 40,000 tons of avoidable waste. In addition to quality issues with the modules themselves, IRENA has also been studying system failures that for wiring mistakes and other mishaps related to installation. Technology standards are just the beginning. Those standards need to be "operationalized," or put into action. That means testing, inspecting, training and accrediting installers, calibrating equipment, and everything else that goes into establishing a risk-reduced environment for investors. "We need to promote the whole quality infrastructure in order to get the full benefit" an IRENA expert explained. 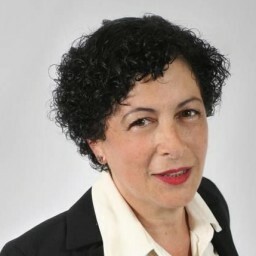 If all this sounds like the expense is not worth the effort, IRENA is studying that, too. The answer is: Yes, you can make a sound business case for investing in a precision-tuned regulatory infrastructure. In Germany, for example, solar systems with post-installation performance tests written into their contracts actually outdid expectations by an average of 3 percent. That might not sound like much, but for larger systems it adds up to big bucks. In contrast, systems that had no such post-installation tests in their contracts predictably under-performed, coming in at around 3 percent less than expectations. "A democratic form of energy"
Rural electrification and economic development have also come up regularly during the week's events. When the conversation with Mr. Amin turned to questions-and-answers, TriplePundit jumped at the chance to ask about the nexus between mobile phone technology and the growing market for small-scale, distributed solar energy. Mr Amin compared solar energy to the transformation that mobile phones have brought about in Africa. He recalled that when he was growing up, rural communities depended on land lines that didn't work most of the time. Mobile phones brought a level of reliability and efficiency that has been life-changing for many rural households in Africa. Distributed solar energy could have an even more transformative effect, especially in the lives of female farmers who sell their produce in local markets. Mr. Amin brought up the example of women who could use mobile technology to check prices and conditions at several different markets, rather than bringing their wares to one and hoping for the best. The problem, he explained, is that -- without a far-reaching, reliable and affordable electricity grid -- women often have to travel long distances and wait in line to charge their phones at a local charging concession. Solar mini-grids provide a quantum leap in convenience, efficiency and dependability. In addition, by bringing electricity directly into households and communities, solar mini-grids provide the opportunity for quality of life improvements including light that can be used for work or study at night. "It's a democratic form of energy," Mr. Amin told us. Mobile phones were transformative because they eliminate the accidents of geography that can limit an individual's access to communication, information and commercial activity. Renewable energy has the same level of potential by enabling reliable, affordable access to electricity practically anywhere on the globe. All it takes some good, sound policy. Sometimes it's an uphill battle -- just ask the American Sustainable Business Council -- but it makes good bottom-line sense.